Michael Tibollo, both in his professional capacity and as an active member of the community, is a man of vision and innovation. He is deeply committed to the well-being of the community and is passionate about all of his undertakings. Michael has been practising law in Vaughan for the past 30 years. He encourages his staff to be involved in community initiatives aside from their regular work responsibilities. In 2009 Michael was elected president of The National Congress of Italian Canadians- Toronto District and in 2011 became National President. Among his many achievements as a volunteer he was responsible for spearheading the successful effort for the passage of Bill 103, the Italian Heritage Month Act, which was passed by unanimous consent of all parties in the Ontario legislature in 2010 in recognition of the contributions to the province of the Italian-Canadian community. Italian Heritage month is celebrated annually and thanks to his continuous efforts is now recognized nationally. Michael continues to build bridges and assist those with a vision of building a strong community based on principal and mutual respect. Michael lobbied the Federal Government and received a grant to assist with the writing of a curriculum in English and French to be used by the various school boards to enhance the teaching of history to Canadian children. Aside from the numerous events which now take place during the month of June, Michael has also gone beyond the Italian-Canadian community and reached out to 14 communities to celebrate the “Festival of Light”. This event held annually in the City of Vaughan sees 14 communities come together, including First Nations, Christians, Jews, Muslims, Sikhs, Hindu and Africans, and share an evening of understanding tradition, custom and mutual respect. 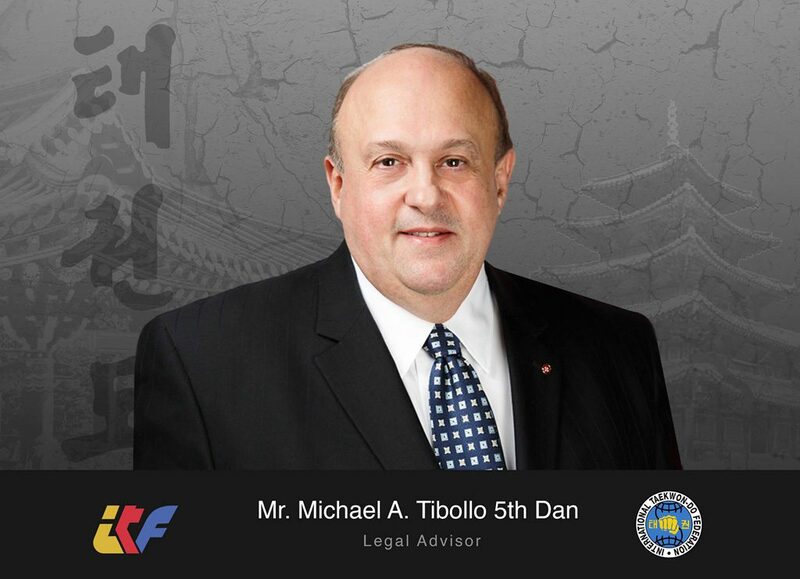 Michael holds a fifth degree black belt in the martial art of Taekwondo, and is presently the Chairman of the League of Ambassadors and Legal advisor to the International Taekwondo Federation in Seoul, South Korea. He is also the Chairman of Caritas, a therapeutic community for mental health and addiction. He volunteers at the Meta Centre, an organization that assists physically and mentally challenged adults live better more enriched lives, and is presently a candidate completing his doctorate in clinical psychology. In 2015 Michael was made a Knight of the Order of the Republic of Italy. He has been honoured by the government of Canada with the Canada 125 medal, the Queen’s Jubilee Medal, Humanitarian Award from the government of the Province of Foggia, Italy and has received numerous other Awards for his business acumen and philanthropic activities from numerous communities and community groups. Most recently, he has received the Professional Excellence Award presented by the Canadian Italian Business and Professional Association and received the Order of Merit Award presented annually by the National Congress of Italian Canadians -Toronto District. He was honoured with a medal from the Famous People Players presented during a ceremony with the Governor General of Canada, His Excellency, David Johnston. Michael is the proud father of three children and married for over 30 years. Michael is knowledgeable and indefatigable and looks forward to continue working with the community, helping those that find it difficult to help themselves.